One of the best things about tennis is that it can be enjoyed by anyone, anywhere, and anytime. This makes it the perfect family sport. Tennis doesn’t have to be played competitively or too seriously. Rather, it can be a sport that is enjoyed at a leisurely pace. Really, anyone in the family can pick up a tennis racket and have a good time. You don’t even need a court to enjoy a hit and giggle type approach to tennis. Whether it’s mum and son or dad and daughter have a swing of tennis, it can be a really fun to spend some quality time together. Even better, tennis can be played as doubles or just two people at a time. 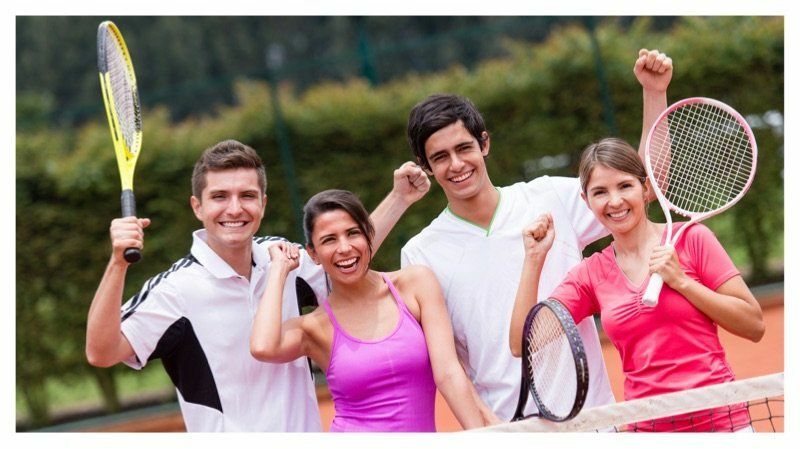 You can also mix tennis up and make it a round robin so that everyone gets a chance on the court. If someone in the family doesn’t feel like playing, they can be the umpire and scorekeeper. Even the family dog can get involved as the ball collected! One really positive thing about tennis is that it is easily accessible. Whether you and the family want to head to a tennis court on the weekend and hire it out for an hour two, or you’d rather go to the local park and find a patch of grass to play on, tennis can make this happen. Tennis rackets can be fairly inexpensive too, so they are a great investment item to be used time and time again. You can even take your tennis rackets away on a family holiday or a camping trip to pass the hours. Playing tennis recreationally with the family and not putting too much pressure on it is a great bonding opportunity and also a great way to promote a positive relationship with health, fitness, and fun. If you introduce your kids to tennis from an early age as something that is about enjoyment, they may even develop a greater love for the sport and want to play it competitively. No matter what level of tennis you and your family are playing at or in whatever setting, tennis is all about staying fit and having fun. It is something that gets everyone outdoors, moving around, and learning to engage their muscles in different way. A morning or afternoon spent with an hour or so of tennis is going to set the day up for a much better mindset than sitting inside watching TV or surfing the internet on smartphones.